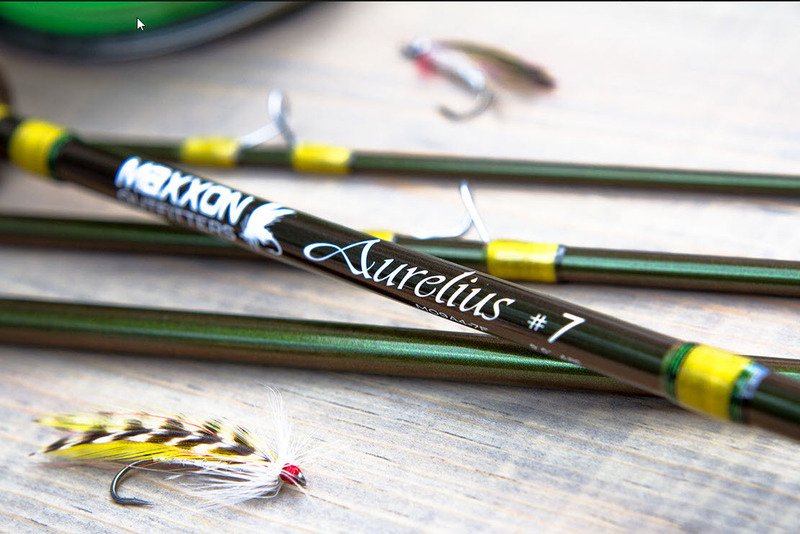 Maxxon Aurelius Graphite Fly Rod - 4 pc. With a rod that demands as much respect as the Aurelius does, what better suited name than that of an Emperor. The Aurelius fly rod series has the ability to make any good caster great and enables all accurate casters to become surgically precise. 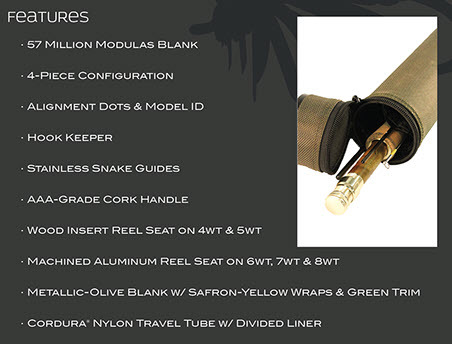 If you are looking for the ultimate combination of fighting power and finesse, this rod has you covered. The Aurelius is a gorgeous olive metallic finish complemented by a classic looking two-tone metallic scheme to pair perfectly with our SDX reel. I had a chance to try a 6wt Maxxon last summer, flyfishing for smallmouth. I usually use an 8wt, and was pleasantly surprised how well the 6 Maxxon loaded and shot the line.I am going to get one of these for my bass fishing, would probably work well for larger rivers trout and salmon. We used an 8wt recently in Mexico for baby tarpon up to 20lbs. No problem, it was my rod of choice!